Taekwondo began in a roiling mess. 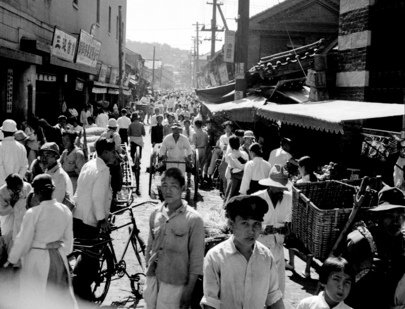 Framed by World War II and the Korean Civil War, Taekwondo’s beginning was marked by famine, civil unrest, and political jostling. It was a World away from ours and it had just seen the back of a 35-year Japanese colonial administration bent on obliterating Korean culture and national identity. 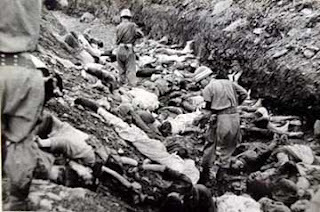 It was a World punctuated by massive and frequent loss of human lives. Losses linked to crackdowns, not by the recently-deposed colonial occupation, but to the strong arm of Korea’s own police and military forces. Present day Taekwondo practitioners seem not to reflect much on those early events and might know only a few key dates that might include the end of WWII, the demonstration in front of President Syngman Rhee and perhaps the adoption of the name ‘Taekwondo’ as Korea’s new martial art. Then there are those websites that cite the development of Taekwondo starting from Korea’s 37 B.C. 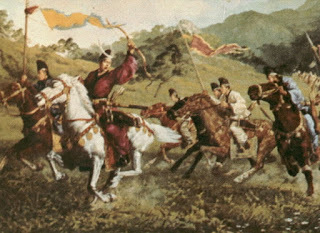 Koguryo Kingdom and 10th century Silla Hwarang warriors. It seems Taekwondo’s history is threatening to go the way of The Forgotten War. 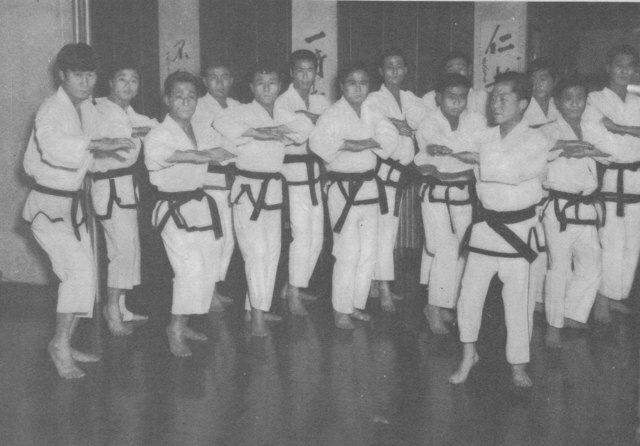 This article is part of a series looking past history as a mere listing of dates and immersing readers into it’s day to day reality, specifically in Taekwondo’s development after the end of WWII. 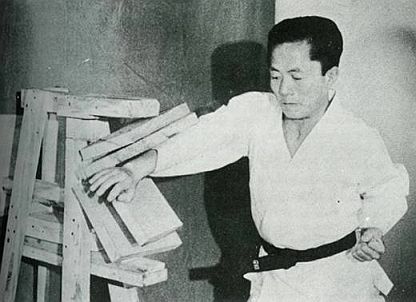 The goal was to look at early modern-day Taekwondo through the eyes of one of its key modern architects – the self-proclaimed founder of Taekwondo Gen Choi Hong Hi. Unfortunately, while we can learn many things from historical research, there were those day-to-day details that had to be ‘filled in.’ But this is not just some alternate timeline based on fantasy. This is a story considering factual events through the intervening years, paying closer attention to elements leading to the traditional Taekwondo schools that exist nowadays. We use the word ‘tradition’ not just describing an instructor who thinks students need to be able to do a certain number of pushups or to endure a certain amount of suffering. For what it’s worth, I call my school ‘traditional’ because we practice a version of Taekwondo exported from Korea in the mid 1950s. What we do looks similar to Karate, but it’s definitely Taekwondo. You could say Taekwondo’s long lost cousin has just cracked open that family album no one has looked at in years. The start of this series was scheduled to commemorate Taekwondo’s 57th Anniversary April 11 2012. We would like to thank Stuart Anslow for its inclusion, and for his outstanding work promoting the best of our art worldwide. Lastly, this work is dedicated to GM Keith Yates and the amazing group of practitioners in the American Karate and Taekwondo Organization. As is typically experienced by all beginners to Taekwondo, we’ve begun our series from the start, with Taekwondo’s Chonji hyung. It’s not another historical film clip but a glimpse into the inspiration for how our art came to be – found scratched on the cell wall where a young Choi is imprisoned for his participation in the Pyongyang Incident and facing his imminent death at the hands of his Japanese captors. Of course we know Choi doesn’t eventually die there, and the subsequent piece continues at a point about a year after, when his fortunes have dramatically changed. Despite being much healthier, Choi continues to exude a pensive and restless energy. Before you go any further, let me ask you: if you had a few months left to live, what would you be thinking of? What loose ends would you choose to tie up if you had a chance? Come and suspend disbelief. Enjoy this journey back in time with me. Heaven and Earth are inseparable. They are neither two things nor one thing. It applies to all who are on the path. This wondrous fusion is the secret I have yet to share. 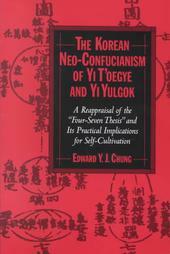 Note: The above was inspired by Yulgok’s renowned Four Seven Debate on Myohap - Wondrous Fusion, a philosophical debate about moral cultivation; lessons of which can be extrapolated and applied to Taekwondo’s tactics, which include both powerful hand strikes and phenomenal leg attacks. Chon-ji was found as graffiti scratched into the cell wall where Choi was imprisoned as a rebel for involvement in the Pyongyang Hahk-byung incident. Like the pattern he eventually named, Chon-ji is all or nothing, resolving two sides of the same coin, and is the cornerstone of a very potent system. We know the end of WWII several months after saved Choi from a probable death sentence and this prison term identified him as leadership material for the new Korean army. I’ve got a hot steaming cup of tea in my hands and I’m looking out from my office onto the main square. The few personnel starting their day are all walking briskly. You know they’re feeling the morning chill through their service uniforms. 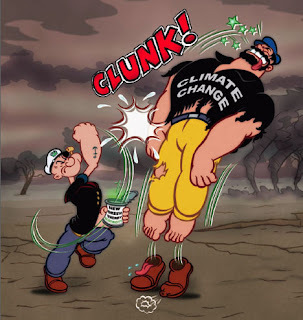 Their caps seem to be pulled lower on their heads, and their green tunics are clinging closer to their bodies. The morning chill doesn’t bother me. It’ll disappear mid morning anyway. What I’m keen for is to wash the taste of breakfast down. What they had in the officer’s mess was awful. The vegetable omelette was grey and smelled off. The rice cooked with red and black beans was hard. The kaktugi kimchi was somewhat edible. I’m trying not to complain about this. At least we have food, there’s still a lot of people going hungry in Korea at this time. I chose not to tell the guys I was training this morning. I told them I had a full day dealing with paperwork from the closure of the South Joseon Defense Academy. In reality, the transition to the South Joseon National Defense Force was just shuffling papers around. My job hadn’t really changed much beyond training of military interpreters and focusing on the next batch of commissioned officers. What I really needed was time to myself. Our recent training sessions have had the guys practising the fluid long-range kicks and moving around – just like my early days training in Taekkyon. The relaxedness, the explosiveness and having that range of motion – it’s good fun! It’s everything I thought was missing from those days at Chou University just three years past. Sensei had us do kata training over and over again then. Afterward it was pounding on the makiwara. But we always came back to kata. I don’t miss it, really. But what I wanted to feel today was kime. ‘Focus’. Long-range kicks don’t have that sort of physical shock. Relaxedness doesn’t result in that sort of feedback. That ‘shock.’ And it’s even worse when you try to kick with combat boots on. So while I disagree on just using kata over and over again in training, kime remains a part of how I generate significant power in upper body strikes; with whatever footwear I have on. I’m walking to my desk and now wondering whether Lee Won Kuk has had the same thoughts as I have. He too trained under Sensei and has just started a new kwan here in Korea last year. But he’s teaching Karate kata to Koreans. While he’s not doing badly, I’m not sure I would do it exactly that way. Let Sensei’s Japanese students formalise his teachings. Let them enjoy their karate. Lee should know the problems with the training method. It’s too rigid. It’s too slow. Inflexible. It won’t work for our new defense force anyway. I hear female footsteps on the rough concrete floors before seeing the woman. “Sowi? Annyong haseo?” – Good morning, sir. It’s one of the secretaries with my sealed inter-department mail. She’s quite attractive. I can smell the KT&G cigarette she’s been smoking as she leans in to deliver the packet. Close enough for a strike to the temple. Followed by a takedown to the floor. I feel my abdominal muscles tense and I tighten my breath a little. But as those thoughts fly through my mind, my fingers hold my cup still. Today, she’s lucky she’s got me there to protect her. Ohae haji maseyo – don’t get me wrong - my way has to be better. I’m going to improve on this whole mess, one technique at a time. I can create a better system. We can have a brighter future. Note: The above was written a few months after Choi, together with a group called the 110 founding fathers, joined the newly opened Military Language School in Seoul. Choi was commissioned as a 2nd lieutenant there and, at the time of writing the above, the South Joseon Defence Academy closes down and in it’s place continues the South Joseon National Defense Force. Many practitioners obsess over basic skills or significant life’s lessons learned early in their martial arts careers. As a Shotokan trained practitioner, what kind of skills do you think Choi would value? How do you think he would ensure such skills continued to be transmitted; irrespective of his politics? Do you think he successfully achieved the ‘wondrous fusion’ he dreamt about in 1945? The article, originally titled ‘Choi: The Beginning,’ was part one of a four part series, submitted to Totally Taekwondo March 18 2012, and published in issue 38 April 2012. If you're interested to understand the impetus for me to write this series, see Choi: The Beginning. Why thanks, Rick. It's so nice not to get another spam response. I started the faction series to humanise the pioneers of Taekwondo, and to allow us to immerse ourselves into the human condition they lived in. These early pioneers are mostly glorified and sometimes vilified. I think the most often mistake is to approach these individuals with such high expectations of their abilities. They are after all human. They don't have the internet. And they are struggling.